The developer behind plans for up to 99 new homes in Saltford has taken the application to appeal after Bath and North East Somerset council failed to reach a decision by the deadline it set. The developer behind plans for up to 99 new homes in Saltford has taken the application to appeal after Bath & North East Somerset council failed to reach a decision by the deadline it set. 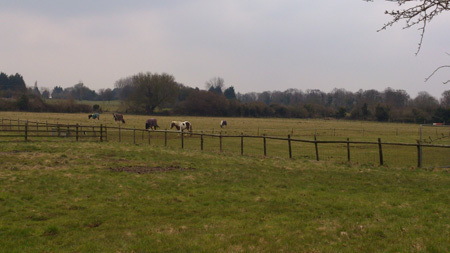 Crest Nicholson submitted proposals for the controversial development on green-belt land off Manor Road in December, and the council set March 6 as the target date for a decision. Public consultation on the plans before the deadline resulted in hundreds of objections, many raising concerns at pressure on the local primary school, extra traffic and loss of green-belt land. However, with no decision reached by March 6, the firm is now going to an independent planning inspector for a verdict. The developer’s decision to go to appeal has been met with anger by local councillors. Cllr Mathew Blankley (Cons, Saltford) said: “It would clearly have been far better for this application to be decided democratically by the council’s planning committee rather than by a planning inspector who does not know our community so well. “I think that residents in Saltford will be angry that Crest Nicholson has decided not to allow the council’s democratic process to take its course.” Comments already made on the plans will be passed to the inspector. People who have not commented can do so until May 16. The planning inspector has set a date of August 13 for an inquiry.